Dr Mike Topper, former AVMA President, with Prof Stuart Reid, Chair of the Mind Matters Initiative. The RCVS has teamed up with the American Veterinary Medical Association (AVMA) to promote positive mental health and wellbeing across the veterinary profession. The partnership will see the organisations collaborate on projects to advocate positive behaviour and support around mental health. They will also work on developing an evidence base and share best practice around interventions. 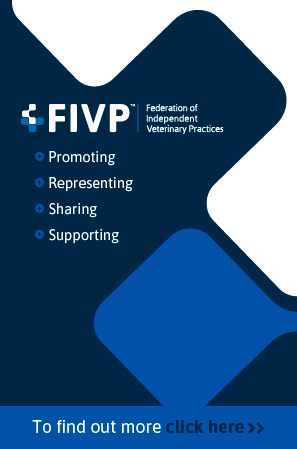 In a joint statement, the organisations said: “We believe that for veterinary professionals to realise their full potential and the global veterinary profession to remain sustainable, maintaining high levels of mental health and wellbeing for all members of the veterinary team is a priority. The collaboration builds on the RCVS Mind Matters Initiative and AVMA’s Wellbeing and Peer Assistance initiative. Professor Stuart Reid, chair of the RCVS Mind Matters Initiative said: “Regardless of where we live and work, as members of the veterinary profession we have many issues in common. 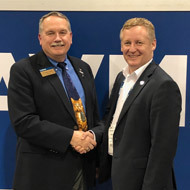 “The RCVS and AVMA have been discussing how we might best share ideas, resources and best practice for some time and I was delighted to meet with the senior officers of the AVMA at their recent convention in Denver. The full joint statement between the AVMA and the RCVS can be found on the RCVS website.